Ryan Reynolds trolled Hugh Jackman on Twitter at the weekend following the Chinese premiere of Logan, the final film in the Wolverine franchise. Logan could be Jackman’s last outing as Wolverine, although there has been talk of the actor reprising the role for a cameo in a Deadpool film. With Jackson posting a photo of his “amazing visit” to Beijing, Deadpool star Reynolds replied of the fans pictured: “Pretty sure those are protesters”. Jackson fired back: “Really…Guy … Really? !” See below. A teaser trailer for Deadpool 2 has been shown at screenings of Logan. Watch below. Entitled ‘No Good Deed’, the clip sees Deadpool – who, as Wade Wilson, is seen at the start of the short film listening to John Parr’s ‘St. Elmo Fire’ – responding to a street robbery in his usual, meta way. 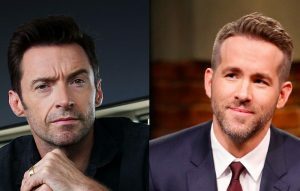 The post Ryan Reynolds trolls Hugh Jackman on Twitter appeared first on NME.